Looking for a European dramaturgy of the feast: 5 theatrical cultures for 3 production projects. M&D does not intend to remain perched on the branch of philological research, but wants to bring about a transformation in the PRACTICE and CONCEPTION of the new theatre. For this reason, in the construction of the partnership the presence of centres of production has been privileged. It is only through the research applied to artistic practice that we can concretely define the paths of innovation. The much sought-after innovation will arise from the answer to questions such as "What kind role the audience has in the play? What is the influence of the environment of performance on the nature of representation and of the character that the performing act takes, as the case may be, in a square, in a school, in a courtyard? How, in each of these environments, can you improve the relationship between the actor and the theatre users? M&D’s proposal for solving these questions, or at least for facing them and overcoming the stalemate in which some forms have incurred today, is – as mentioned in the introduction – the rediscovery of theatre’s origins. Moreover, in the characters of the theatre of the origins – the Medieval Theatre – lie one of the identifying characteristics of European theatre: the dialogue between the forms of Sacred Representation and those of Popular Theatre. This is the aspect that has allowed it to evolve in each of the cultures that make up the mosaic of our Old Continent. The dimension of the creative activities will be distinctly European. The mobility of the artistic staffs under this action will have two directions. In the initial period of creations the directors and playwrights of the cooperating countries will move to the centres of production in Germany, Poland and Spain, in order to make the process of creation the result of a meeting between several cultures. The second movement of the artists planned in the action, will be the performance of the produced creations in the context of the two editions of the International M&D Showcase. This will be done in two stages, after the first year of production (Certaldo 2019) in a simplified version, and the second year (Belfast 2020) in its definitive version. Each of the production partners will develop an artistic project around a character or element of its own culture, resulting especially in the creative contamination – in terms of art language and scenic choices and solutions – of the professionals sharing the conception of the work. The Maracaibo company will host the creative residencies for the production of a street performance inspired by the production of one of Spain's greatest playwrights of the "Siglo de Oro", Pedro Calderón de La Barca. The identification of this author, positioned far onward compared to the historical “centre of gravity” of Mysteries & Drolls, is actually justified by the nature of the play, given that it is the great Madrileño author’s best-known Auto Sacramental. The Auto Sacramental is connected to the cyclic dramas developed in the Middle Ages throughout Europe. It comprised all the characteristics of the medieval morality and it was disseminated within the ambit of the fourteenth-century processions of Corpus Christi. The drama was based on the use of allegorical figures, so that, alongside human and religious characters, also acting on stage were Grace, Pleasure, Sin, Pain, Beauty, Fire, Earth, Water and Sky. The stories of Autos could be drawn from the most disparate sources and be inspired by secular themes, on condition that they illustrated the virtue of the sacraments and the validity of the dogmas of the Catholic Church. So the procession assembled the entire universe: the symbols materialized during the stages action, fully respecting the existing values and the hierarchy between God, the King and mankind. This kind of Sacred Representation is particularly effective as a figurative and performing action, thus fully corresponding to the true vocation of the artistic staff of Maracaibo. At the same time it also opens to the most diverse directorial and staging interventions, giving the creative staff involved in the production ample space to make an innovative mark and achieve an absolutely contemporary creation. The work to be staged by the production centre “Freies Theater Tempus Fugit” in Germany is an English Morality play, transcript in the late 15th century, but in fact much older. 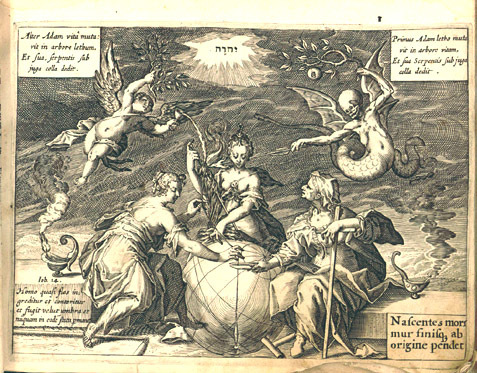 Written by an anonymous author, it is a religious drama probably derived from a work of Flemish origin named Elckerlijc. But Tempus Fugit, using the techniques of street theatre and grammelot, will refer to the German adaptation that in the early 20th century took the name of Jedermann, written by Hugo von Hofmannsthal, and which is now a classic of German theatre. Even this text, in perfect medieval style, is an allegorical representation personifying vices and virtues, constantly at odds with each other. 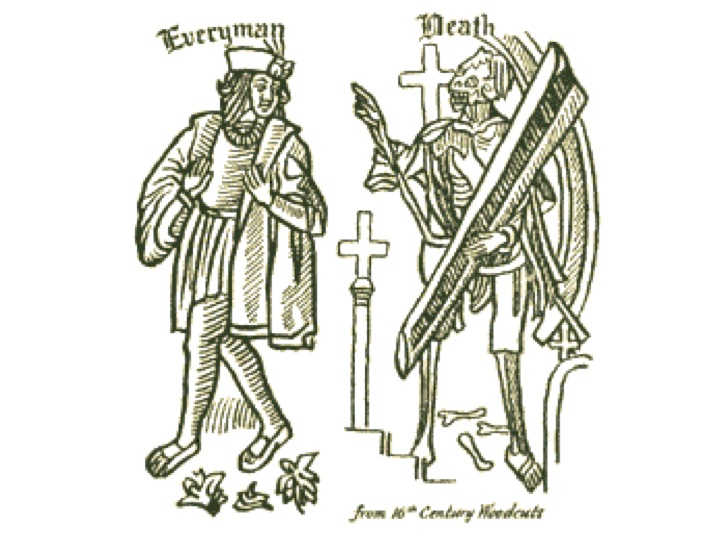 Everyman (the common man) tries to escape the divine punishment of death trying to bribe her. However this will inevitably lead to the handoff, and he will remain in the sight of God accompanied only by spiritual virtues, while those materials will abandon him. The shape of this Morality Play, is often able to catch the satirical feature and gives possibility to rereading able to give space to the clownish comedy. The use of Grammelot (the expressive device that allowed jesters and buffoons to be understood even outside their territory of origin) allows you to face the language barrier that would otherwise be difficult to overcome, allowing the Italian and English audiences to enjoy the show when it will be performed in occasion of the international showcases programmed in Italy and UK. 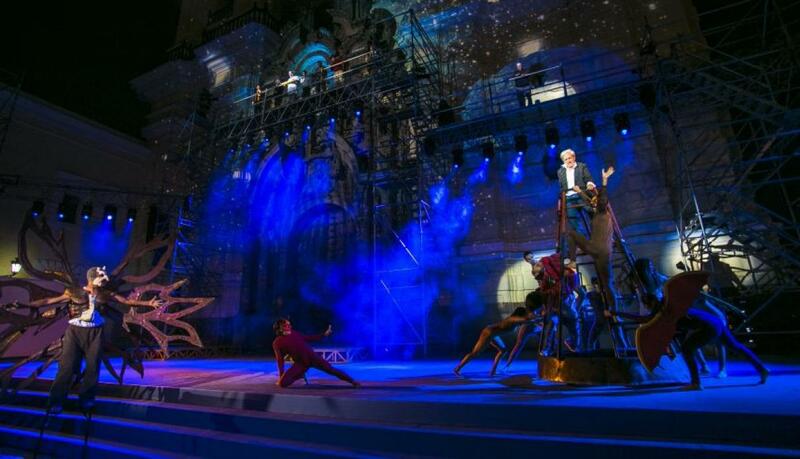 The staging will be aimed at the maximum scene simplicity, and the number of actors involved will be deliberately limited in order to facilitate the settling of a show that is destined to travel across Europe, even beyond the conclusion of the activity plan of project. The creative residency that foresees collaboration between Tempus Fugit and Festival of Fools teaching staff, specialist of clowning techniques, seems to be very interesting: the show, which in its long history has already approached the German culture to the English one, on this occasion will foresee the two theatre schools working side by side. 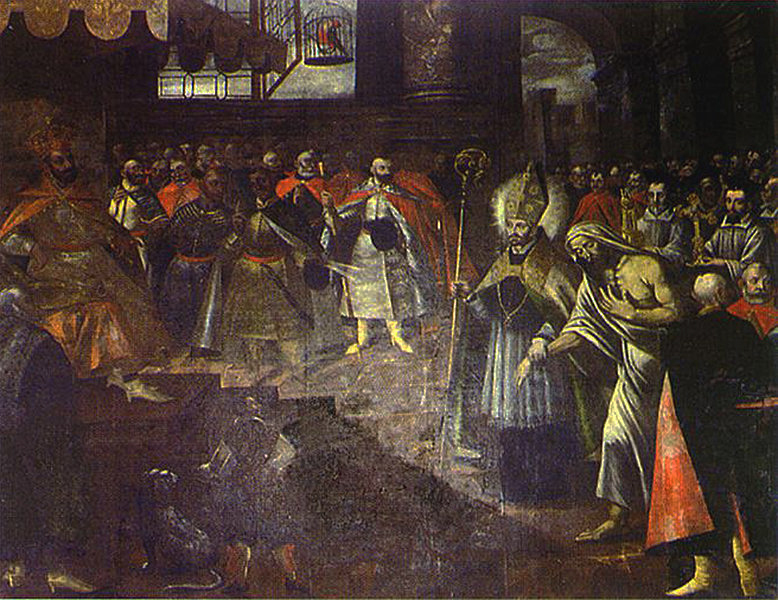 The narrative texture of show produced in Poland is on the figure of St. Stanislaw, the current patron of Poland, and on its opposition, at the end of the 11th century, to the debauchery of King Bolesław II, as Bishop of Krakow. The story that binds these two characters, who embody the temporal and the spiritual powers, as well as virtue and vice, spirituality and material satisfaction research, unfolds between legend and history, and is peppered with twists , miracles and grotesque situations (like the deposition in court of a deceased person, specifically resurrected by the Saint, as a metaphor of the primacy of divine justice). The research of Teater A company, which has a distinctive religious frame, but that since always is active in the ambit of urban theatre, lets to deal with this creative engagement with the easiness of a dramaturgy readable by the public of any cultural and linguistic backgrounds. This will be a show based on images, with the use of choreography and simple stage machinery, fire games and actions aimed at involvement of the public. The decisive factor, in the production path, will be the comparison with Italian and Spanish creative staffs, even for the complementarity of approaches, which synthetize in the concepts of "choral theate" and "total theatre."